Posted by Tom Wells in News, Submissions. I have now officially entered the Amazon Breakthrough Novel Award contest. The first round of judging happens with my 300 word pitch. There seems to be an air of anominity required for the entry so I don’t know how much to talk about the entry yet. Let’s just say that it is the novel version of the two short stories that I have talked about expanding upon before. I will know by mid-Febuary if the pitch has been good enough to get the novel into the second round. If it hasn’t, I will then be publishing the novel on Amazon and Smashwords by March. If the pitch has been strong enough, I will be elated at the ride the story then takes. Here’s hoping for that next round. Posted by Tom Wells in News, Submissions, Tom's Posts. I recently heard back on a story I had sent in knowing it had one fatal flaw for the publication, length. however. It has been good to hear a positive reading of my writing. Well, I did it. I was able to submit a story to the Writers of the Future Contest. It is my first entry in six months and a relief to have made it. At work, I have completed my deadlines and I continue to move through the maze of bureaucracy that comes with my management’s desire to promote me. I have taken a promotional exam and have been ranked one, which is just a first step to completing my promotion. Next will come interviews with all of the Rank One applicants. In the mean time, I am finding more time to write as is evidenced by my ability to enter this quarter. I have a book that needs final editing. That will be my next focus along with finding out which of my recently started short story ideas rises to the top for submission in the next contest quarter. It will be interesting to find out which one takes shape first. That is part of the fun of writing fiction for me. There are adventures that have been molded in my head for years, and there are adventures that just unfold as they are typed, almost as if they are stories I am reading that were written by others. Posted by Tom Wells in Introductions, News, Submissions. Your story has now been judged and did not win or place in the 1st quarter. Well, darn. It’s a bit of a let down after having been sidetracked from writing so much lately. 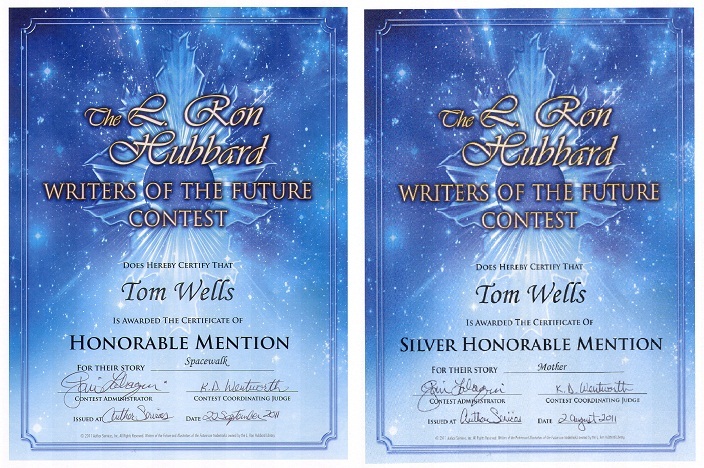 It’s not the first time a story of mine has failed to place with the Writers of the Future contest, but it is the first rejection since my renewed effort at writing more began a little over a year ago. 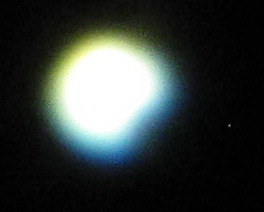 Nothing to do but to send this one off to other markets while submitting my next entry and coming up with new stories. Posted by Tom Wells in Submissions, Tom's Posts. There is a trickle of results coming in on the Quarter One entries for the Writers of the Future. For now, the only news reported is not so good news. Many entrants are trying to read their personal results into the fact that they have or have not received news if they placed or not. The logical side of me asks, “Is the news either good or bad just because you haven’t read it?” I believe it is either good or bad the moment you hit the “SUBMIT” button. That is the point where you’re personal control over the outcome has ended. From there, otherworldly forces will determine if the news of your results will come in the form of a polite e-mail or a phone call. After you SUBMIT, you can no longer have an inspiration that will lift your story to the top of the others or doom your story with an ill advised edit. From SUBMIT foreword, your news will come in whatever form it was going to come no matter what you do in the mean time. I take “no news is no news” as equivalent to a tree falling in the woods and making a sound, no matter if someone was there to hear it or not. You don’t know and likely can’t know if your personal news will be good or bad by the same degree from the moment you hit SUBMIT, until the moment you get your news. So trying to glean your success from the length of time, or the number of other responses will not change your results, so until you do get your news, there is no news. Of course the emotional side of me says that the dreams and fears will continue as long as the news has not arrived, despite how hard I try to keep a logical focus. But isn’t that what helps separate me from the box I’m using to type this with? Posted by Tom Wells in Introductions, Submissions. Thanks for allowing us to consider “Dream Vacation”. I found the idea of being able to experience another person’s memories via VR intriguing, and I’d be interested to see it explored in another story. Unfortunately, this particular work seemed a little too passive, and I felt it was missing a really driving conflict or a clear, urgent plot to keep the reader turning the page. “Dream Vacation” is not quite right for us, but we hope you find a good home for it soon. I could be thinned skinned and take calling my story “too passive” the wrong way, except that story is a bit passive by design. It is meant to be a softer story and I accept that it was not right for them. As a piece of flash fiction, it may not find a home, but I’ll try a bit more and then post it here if no one else accepts it the way it is. Quick update: I have been working on two project deadlines that have kept me from writing. My last writing push was Friday, September 30th when I took a day off from work to polish up my 4th quarter entry for the Writer’s of the Future contest. Since that story has gone out, I’ve had to work weekends at my day job trying to get things ready for end of the year submittals to the Division of the State Architect (the CA building review agency for school projects). I have managed to outline some new stories and have a promising flash story in the works. I have also submitted my 3rd quarter Honorable Mention entry to Asimov’s. I did tweak the ending a little more to go from the open-ended one used in the contest to a more summed up ending that I think works better. I know Asimov’s is a notoriously picky editor, but I think this story is their kind of story so I may have a shot. Anyway aim high. 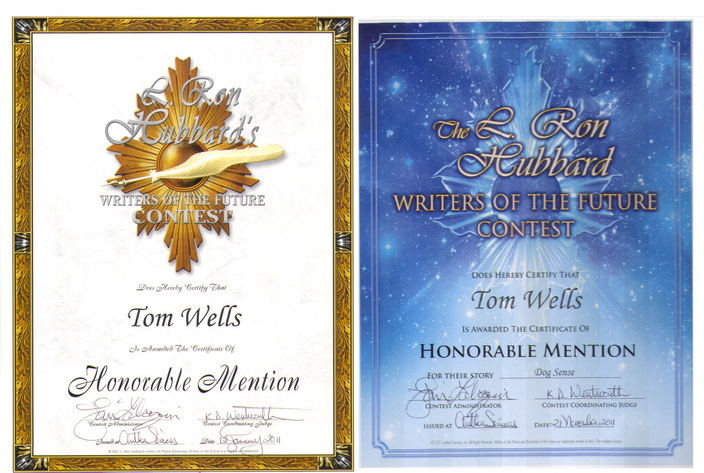 Posted by Tom Wells in News, Publications, Submissions. Hylo is a story about colonists who are changed by the planet they have come to populate. Will they still be human? Look for the story to appear in Jakesmonthly Anthology available in e-format soon. My short story, Firstfather, has been accepted for publication in the inaugural September Science Fiction issue of the Jakesmonthly Anthology. I will post where and how to buy the anthology when it hits the e-market later this year. Firstfather is a story about one of the often overlooked dilemmas humankind will face if we manage to extend our short lifetimes indefinitely someday. Posted by Tom Wells in Submissions. I have begun submitting my recent WOTF story, Mother, for publication. This publication has a very straight-forward approach and dialog for their stories and submissions that appeals to me. Hopefully this story will find a home here.